Tripoli, Libya, March 15, 2011.Citizen commitees have sprung up in some of Tripoli's neighboroods to recruit volunteers to go to the 'frontline'. 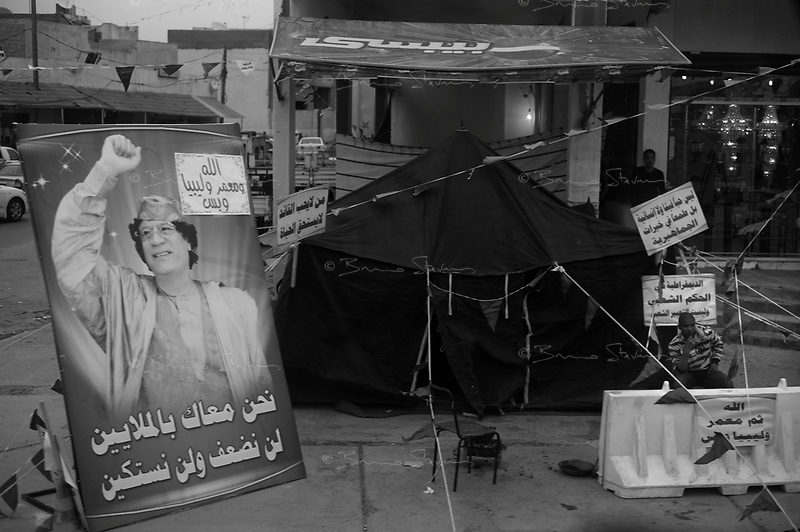 The green signs read: "God, Muammar (Khaddafi), Libya and that's it! ".